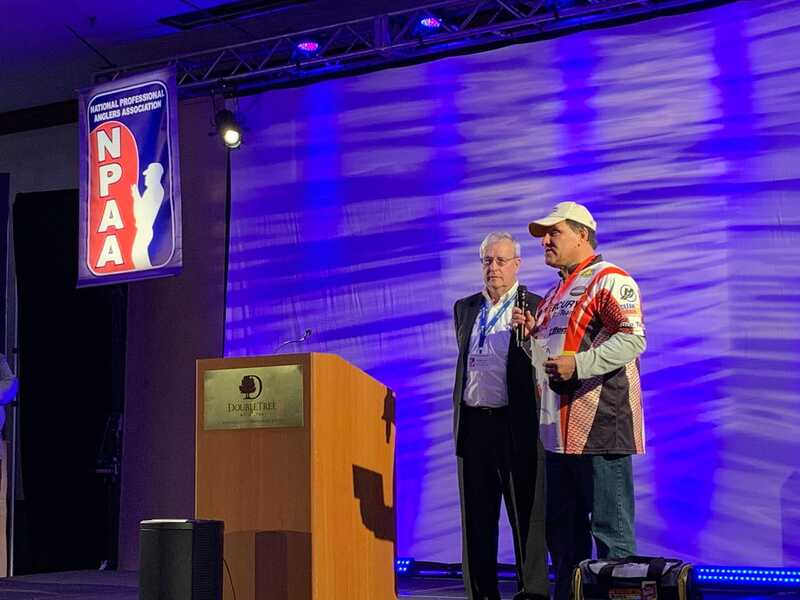 Learn 2 Fish With Us received a very generous donation from James and Rosanne Keller at the Future Anglers Association banquet on Saturday, Jan. 5, which was held during the National Professional Anglers Association (NPAA) Conference. And this isn’t the first time Learn 2 Fish has been lucky enough to receive a donation from the Kellers. In 2016, they matched the amount the organization raised itself. Those funds not only helped Learn to Fish increase its number of fishing workshops, but also establish much needed policies and procedures to keep volunteers and participants safe, including a liability insurance policy and running background checks on all volunteers. Learn 2 Fish also received a generous donation from Greg and Kristin Strehlow, active followers of the organization. As a not-for-profit 501 (c)(3) organization, Learn 2 Fish relies on donations like these to cover expenses—like background checks, purchasing fishing combos and reimbursing travel expenses—of hosting fishing workshops. This year Learn 2 Fish is also developing a program to work with high school fishing teams. Learn 2 Fish President and Executive Director, Greg Karch, said donations like these are the driving force of the organization.